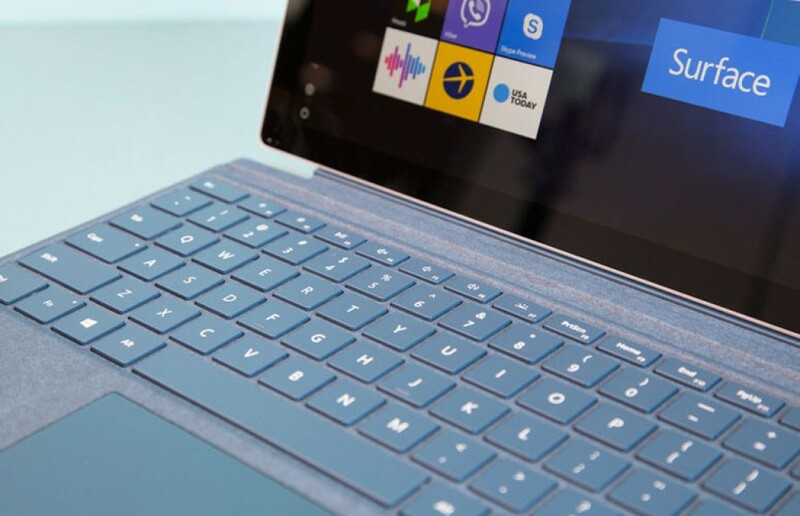 It’s been a while since we are hearing reports about Project Andromeda and Windows Core OS. But what it actually is? Why does it matter to you? And what are the benefits of it? 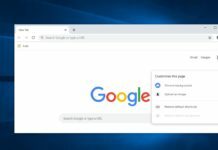 Windows Core OS is a modular operating system with composers for various devices including mobile, desktop, ARM, tablets, wearable, smart watches and mixed reality. 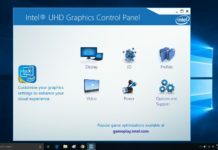 Why do we need Windows Core OS? Actually Windows isn’t a universal operating system. Based on device it varies. 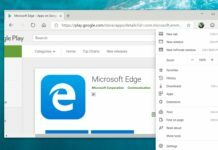 One Core is the only universal element that is shared across the different variant of Windows OS. Above that it is completely different based on device. But what Microsoft trying to achieve with Windows Core OS is to getting rid of all the various product specific variant components (e.g. 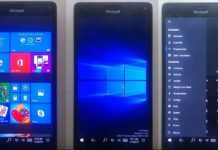 Windows 10, Windows 10 Mobile, Windows Server, IOT). It mark “Windows OS” as a whole and device manufacture can choose components from it for a specific device. 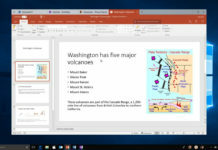 Windows Core OS is the modular version of Windows and it includes composers for various device categories (mobile, mixed reality, desktop, wearable, even Xbox). Project Andromeda is a mobile composer of Windows Core OS and Project Polaris is the desktop composer of Windows Core OS. Another huge component in Windows Core OS is CShell. Basically CShell is what we see and interact with. 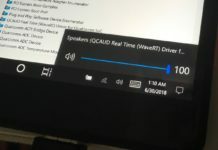 The ultimate goal of the CShell is to bring an adaptive, scalable UI across the devices, which includes desktop, tablets, mobile, Xbox and HoloLens. 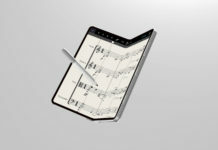 If all of this is going over your head then consider this simple example: Futuristic mystical foldable Surface Phone won’t be running Windows 10 Mobile or Windows 10 Pro/HOME but instead it will be running “Windows 10”. 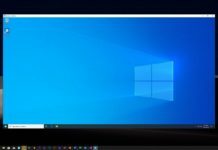 So the bottom line is what Microsoft is going to achieve with Windows Core OS is to remove different variants of Windows and gives us a universal base of the OS. Now that shell-level is extensible that means windows is modular. 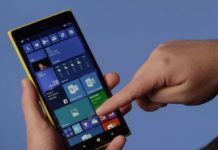 Windows Core OS will deliver high performance, more flexibility, occupy less space, deliver consistent experience with Cshell across the device. And this Microsoft’s efforts is going to put Windows OS to next threshold in next decade. There are a couple of things that are wrong with the diagram. UWP should be below ‘composers’ as it is an essential part of Windows Core. Win32/Win64 should be directly above Polaris. It is of curiosity however, as to where Centennial would fit, above Polaris or alongside UWP. 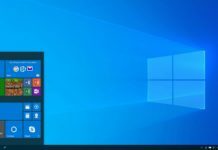 Shouldn’t Win32/Win64 be on top of UWP? 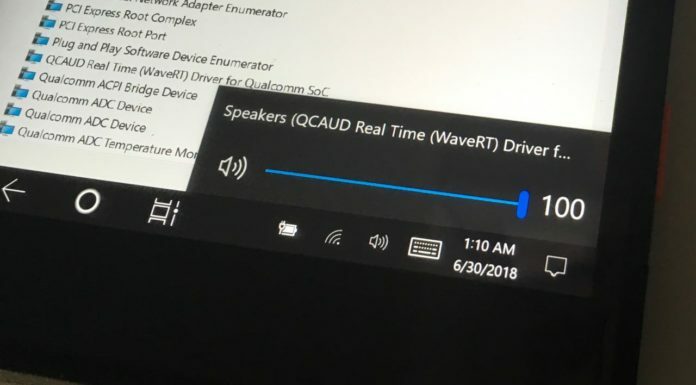 Didn’t MS create a win32 emulator app? That’s called Centennial and is exactly what I talked in my last sentence. 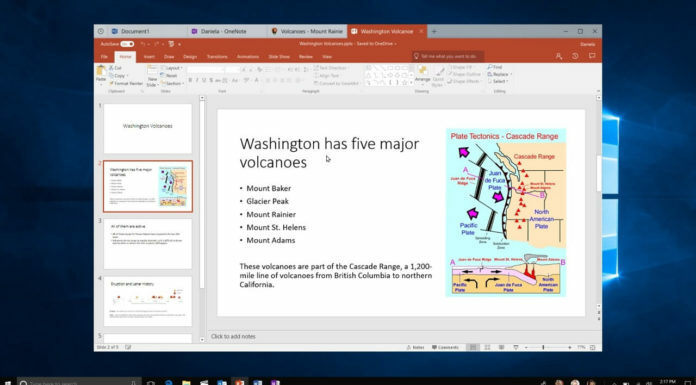 But there are apps outside of UWP too which are traditional desktop apps. So one is not sure if Centennial means UWP + Win64 or Win64 + UWP. 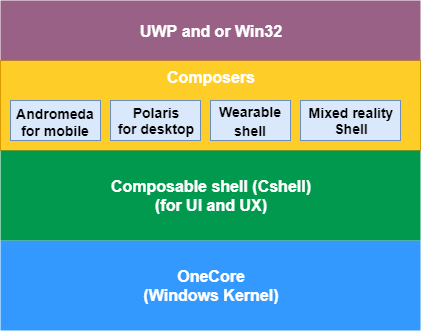 The correct diagram should be onecore—–uwp/and or x86—–chell—–composers(different components). So a manufacture can make a desktop pc that can make phone calls with its own phone number. i want that, lol. LOL Microsoft still don’t get it. How many times are they going to fail over and over before they get a clue.